An Anti-war monument with direct impact. How could you capture and transport what it is to live in a war? To intellectually and emotionally impact passer by’s is not an easy task. Manaf Halbouni’s proposal does so in such a simple but compelling way. 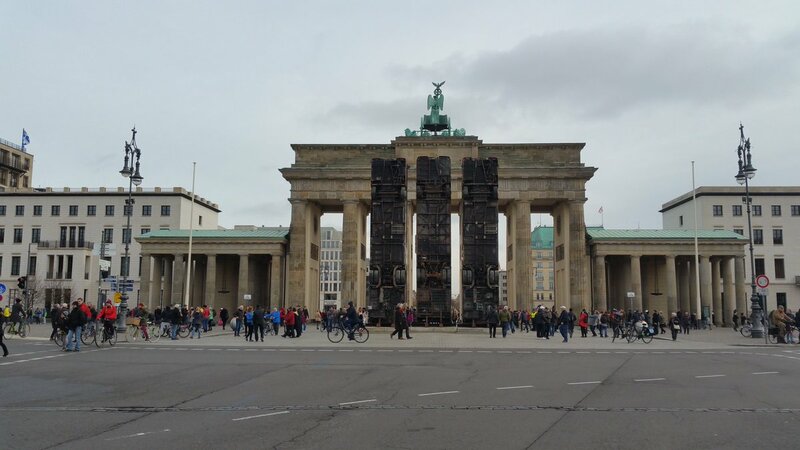 A direct connection is made by means of three burnt-out buses placed upright in a row in front Brandenburg Tor, the iconic Landmark of Berlin. 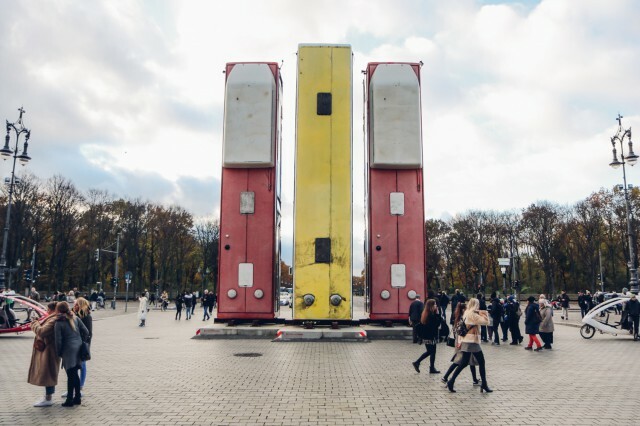 The installation recreates how citizens of the Syrian city of Aleppo protect themselves against sniper fire.